NKTR-181 is supposed to offer a lower frequency of opioid side effects. But are more opioids really the solution we need to the opioid crisis? Healthesystems’ AVP of Advocacy & Compliance explains how regulation has been unable to keep pace with healthcare innovation & technology. More states cover PTSD without physical injuries for first responders, and 24 states allow PTSD patients to use medical marijuana. A new wave of drugs that suppress CGRP proteins to reduce migraines could be on the horizon. Drugs to treat opioid dependence could be approved under new clinical endpoints other than reducing opioid use. Our Chief Medical Officer and VP of Clinical Services comment on matters such as the use of anticonvulsants to treat pain and opioid prescriptions for inpatients. The FDA accepted for review the New Drug Application (NDA) for NKTR-181, a new, long-acting opioid developed to treat chronic low-back pain in patients new to opioid therapy. NKTR-181 is thought to exhibit a low incidence of specific CNS-mediated side effects, such as euphoria, due to low permeability across the blood-brain barrier, which slows the rate of entry to the brain to reduce dopamine release. It is thought that reducing the rush of dopamine to the brain will lower the likelihood an individual will become addicted to the drug. 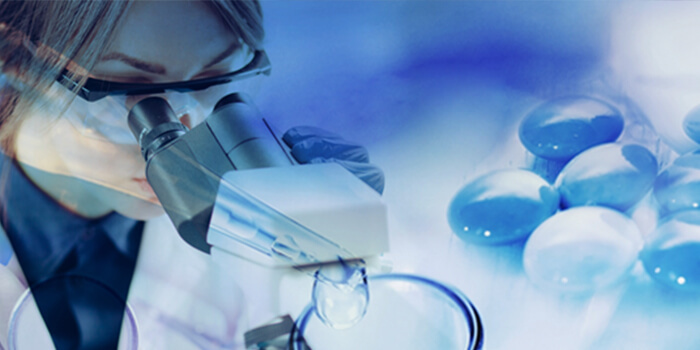 Fifteen clinical studies involving 2,234 patients were conducted for NKTR-181. One of the studies saw an average pain score reduction of over 65% for patients taking the drug, while another study found the abuse potential of NKTR-181 to be lower than oxycodone among recreational drug users. Another study was for a 12-week, Phase 3 clinical trial of 1,189 patients, which found that taking NKTR-181 twice daily produced significant pain relief. When it came to patients who took NKTR-181, 2.9% of patients experienced withdrawal symptoms, while across the entire study only 0.2% of patients engaged in abusive behavior, some of whom were in the placebo group. 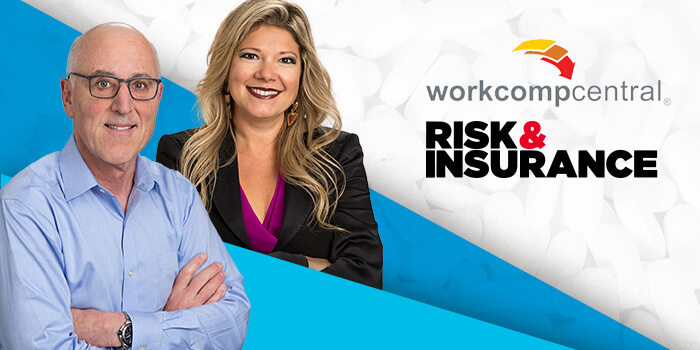 Healthesystems’ AVP of Advocacy & Compliance, Sandy Shtab, recently appeared in the Leaders Speak series featured in WorkCompWire, an online news service focused on developments in workers’ comp. Her article discusses how many of the functions and services performed today in healthcare have evolved through technology and innovation, while many of the laws regulating those functions and services have not. The discussion dives into three areas of focus, including easing patient access to healthcare services, reducing administrative burden, and improving care quality. Technologies discussed include telemedicine, electronic medical records (EMR), patient portals, self-service capabilities, electronic billing, electronic prospective review, and more. 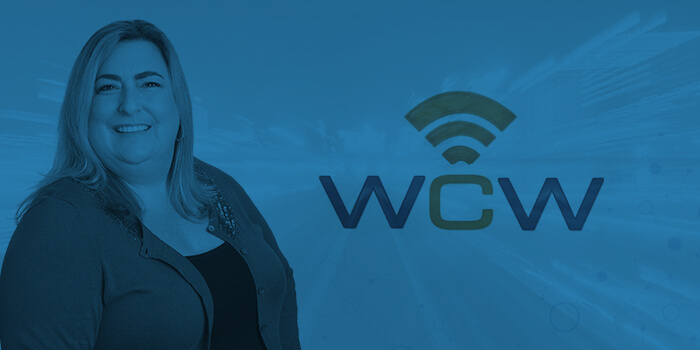 Read the article in full online at WorkCompWire. Minnesota House File 3873 was signed into law in late July, officially recognizing post-traumatic stress disorder (PTSD) without an accompanying physical injury as an occupational disease covered under workers’ compensation for first responders. While many states cover PTSD (a condition of mental anguish following psychological shock that often results in sleep disturbances, vivid flashbacks, anxiety, and depression) when it results from a physical injury, there has been recent momentum to cover PTSD for first responders when physical injuries are not present, as their occupations can expose them to serious psychological trauma. The National Council on Compensation Insurance (NCCI) reports that in 2018 alone, at least 16 states considered legislation addressing workers’ comp coverage for “mental-only” injuries like PTSD. As Healthesystems has previously noted, within just this last year, states such as Florida, Nebraska, Texas, and Colorado have passed mental-only PTSD laws for first responders. 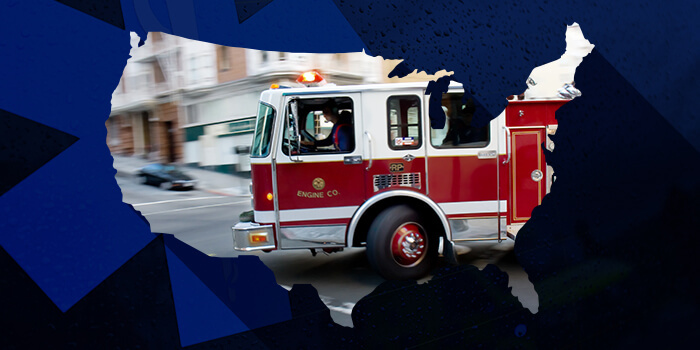 Furthermore, in May New Hampshire Senate Bill 553 established a commission to study the incidence of PTSD in first responders. The commission is expected to deliver a report in November, which could determine whether PTSD should be covered for first responders without physical injuries under workers’ compensation. It’s understandable why these laws are written for first responders. An estimated 84% of first responders experience a traumatic event on the job, while it is estimated that anywhere from 6-32% of first responders have PTSD. However, if more and more mental-only PTSD laws pass for first responders, it could open the door for other industries. Colorado’s mental-only PTSD law, enacted last year, covers all workers, not just first responders, while states such as Massachusetts, New Jersey, New York, and Rhode Island have offered such wider coverage for years. Industry advocates could argue that their industries should receive similar coverage. For example, statistics show that healthcare workers, beyond emergency medical technicians, are four times more likely to experience workplace violence than other industries, with 21% of nurses and nursing students reporting being physically assaulted on the job, and 59% reporting verbal abuse. And beyond compensability, there’s another conversation to be had surrounding medical marijuana. Louisiana House Bill 579 was recently signed into law, expanding the state’s medical marijuana program to include more qualifying conditions, including PTSD. This brings the number of states that list PTSD as a qualifying condition for medical marijuana from 23 up to 24. The clinical benefits and risks of using marijuana for PTSD are still uncertain, and more broadly, medical marijuana’s place as a reimbursable treatment under workers’ compensation remains hotly debated. Migraines impact an estimated 37 million Americans, and there has been a great demand for medications that could provide relief. Specifically in workers’ compensation, migraines can arise as the result of traumatic head injury, or certain injuries can exacerbate preexisting migraine conditions. Current drug development research has given rise to a new class of migraine medications called calcitonin gene-related peptide (CGRP) blockers. 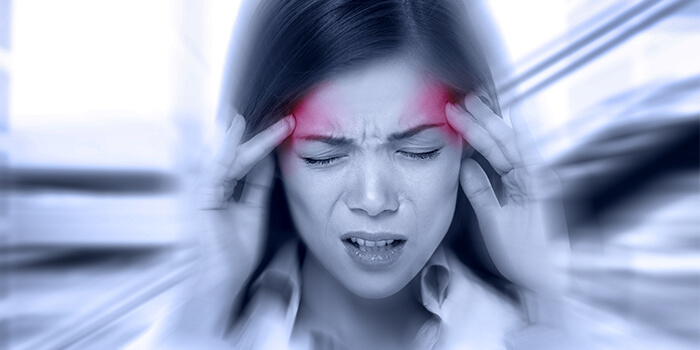 When experiencing migraines, individuals have been found to have high levels of CGRPs in their blood and it has been theorized that blocking CGRPs could reduce or limit migraine activity. Drug developers found initial success with CGRP blockers several years ago, but the discovery of accompanying liver issues slowed progress until molecules that bypassed the liver could be formulated. In May, the FDA approved Aimovig (erenumab-aooe), a once-monthly, self-administered injection for the preventive treatment of migraine in adults. The drug, which works by blocking CGRPs, was approved after clinical trials for Aimovig resulted in a range of one to two-and-a-half fewer migraine days per month when compared to patients receiving placebos. This drug approval signals that more CGRP blockers could be approved soon, as several other drug developers have created similar products that have tested well clinically. Fremanezumab (also known as TEV-48125) is a CGRP blocker currently being reviewed by the FDA with a decision date of September 16, 2018. While this drug halted Phase 3 clinical trials for cluster headaches, its application for migraines is still favorable. One Phase 3 trial involving 1,130 patients found that fremanezumab reduced the average number of monthly migraine days during a 12-week period by at least four days, varying depending on dose schedule. Emgality (galcanezumab, and also known as LY2951742) is another CGRP blocker developed to prevent chronic and episodic migraine. It has also completed Phase 3 clinical trials and is currently being reviewed by the FDA, with an expected decision date before the end of September. In a series of Phase 3, randomized, double-blind, placebo-controlled trials, Emgality was found to reduce the number of monthly migraine headaches by at least 50% in patients who previously failed two or more preventive treatments. Lasmiditan (also known as LY573144) is currently in Phase 3 trials for the acute treatment of migraines, and trials results so far have found that at 2-hours post dose, significantly greater portions of test patients experience migraine relief when compared to placebo patients. Eptinezumab (also known as ALD403) is in the middle of Phase 3 trials for the prevention of migraine, and one of those trials found that patients taking eptinezumab for six months experienced an average reduction of 8.8 monthly migraine days following their second quarterly infusion. Twenty-one percent of patients who took epitnezumab for six months experienced a 100% reduction in migraine days per month, while 64% of patients taking epitenezumab experienced a 50% reduction in migraine days per month. 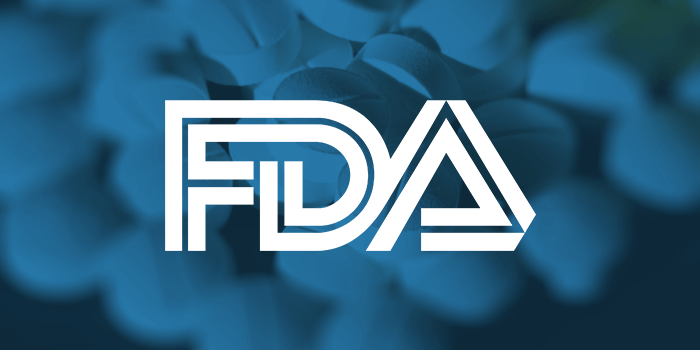 The FDA announced that they have issued a draft proposal of new scientific recommendations to encourage the development of new drugs for the treatment of opioid-use disorder (OUD). Previously, for a drug to be FDA-approved for the treatment of OUD, clinical trials had to demonstrate a reduction in drug-taking behavior, but the FDA’s new proposed guidance, Opioid Use Disorder: Endpoints for Demonstrating Effectiveness of Drugs for Medication-Assisted Treatment, has outlined different ways that clinical trials could potentially demonstrate drug effectiveness. One new potential clinical endpoint involves reducing adverse outcomes that result from OUD, including, but not limited to; reduced mortality, fewer emergency medical interventions, and a decrease in Hepatitis C seroconversion. Drug developers can study several of these endpoints in the same trial, with one selected as the primary endpoint, and one or more selected as secondary endpoints. Drug effectiveness can also be measured by changes in disease status using diagnostic criteria for OUD. The proportion of patients that transition from meeting criteria for moderate-to-severe OUD to being in remission by the end of the clinical trial could serve as a primary or secondary efficacy endpoint. Patient-reported outcomes may also be used to demonstrate clinical benefit. With input from patients and family members, the most concerning symptoms/experiences associated with OUD can be identified and then later evaluated and monitored, serving as a measure for the intensity of the urge to use opioids. Patient-reported outcomes would include, but are not limited to, improvements in the ability to resume work, school, or other productive activities, and improvement in sleep or mood. The FDA explicitly stated that retention in treatment of OUD is not a significant clinical endpoint to demonstrate drug effectiveness, but that they are interested in receiving other outcome measures that could be used to demonstrate clinical endpoints for OUD medication trials. To effectively pursue these new clinical endpoints, drug developers would be required to communicate their plans with the FDA early on in the development cycle. Comments and suggestions regarding this draft document should be submitted to the Federal Register by October 10th. In July, the Canadian Medical Association Journal (CMAJ) published a systematic review and meta-analysis of anticonvulsant treatments for low-back pain and lumbar radicular pain. Anticonvulsants such as gabapentin and pregabalin are commonly used in workers’ comp to treat pain as an alternative to opioids, and the study found moderate-to-high quality evidence that these anticonvulsants were ineffective for low-back pain and lumbar radicular pain. In response, WorkCompCentral, an online news service focused on workers’ comp, published an article that explored the implications of the study, asking industry leaders for their expertise. Among the experts consulted, Healthesystems’ Chief Medical Officer, Robert Goldberg, MD, FACOEM, spoke to WorkCompCentral, stating that because these drugs are effective in treating diabetic neuropathic (nerve-related) pain, the workers’ comp industry looked to these drugs as an alternative to opioids, hoping they would be effective in treating nerve-related conditions common in injured workers. However, Dr. Goldberg pointed out that little evidence exists for their effectiveness in treating back-related conditions, stating that workers’ comp guidelines are generally neutral to these medications, recommending a trial treatment if other medications fail. In other news, Risk & Insurance, a publication focused on risk management and commercial insurance, explored the risks opioid prescriptions pose to inpatients, a population less prominent than the more common outpatients taking opioids dispensed by retail pharmacies. Risk & Insurance spoke to clinical experts on the matter, including Healthesystems’ VP of Clinical Services, Silvia Sacalis, PharmD, BS. Dr. Sacalis explained that the risk factors related to prescribing opioids for inpatients include anxiety, depression, and pain disorders. Furthermore, post-surgical patients may be unconscious due to anesthesia, increasing opioid risks such as respiratory depression, which can be fatal. Dr. Sacalis spoke of other potential risks, explaining how prescription drug monitoring programs could help prevent some of those risks.